Let this Anchor Hocking Oneida 842U 8" glass dinner plate show your customers that your appetizers, side dishes, salads, and desserts are the best in town. 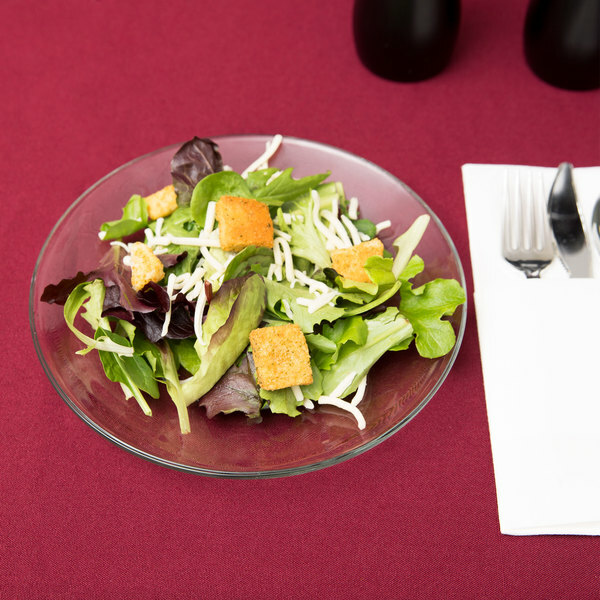 Its elegant design is versatile enough for restaurants, hotels, or catered events. 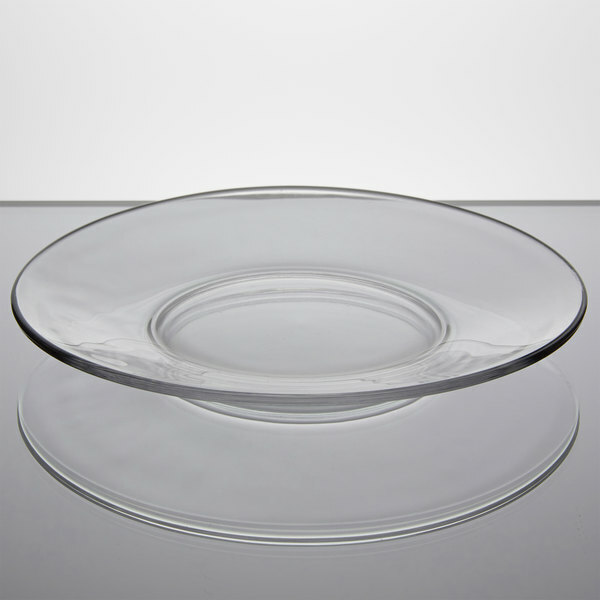 This Anchor Hocking Oneida 842U glass plate features a sleek, wide-rim and modern glass construction. This plate measures 8" in diameter. Not recommended for use in oven. 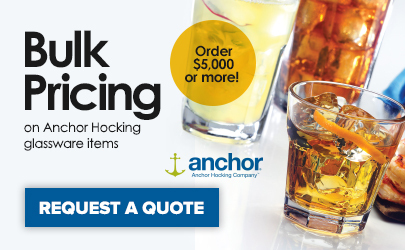 The Anchor Hocking 8" glass plates are durable and very scratch resistant. 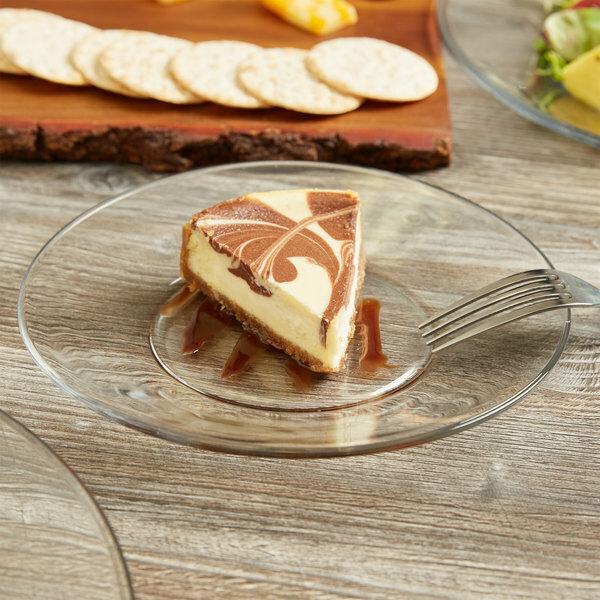 The perfect appetizer plate that will be the hit at your next event. We love them!